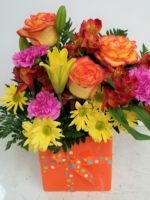 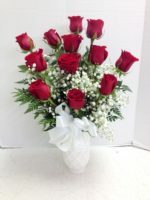 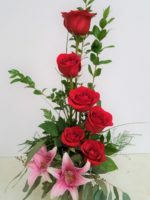 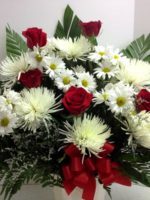 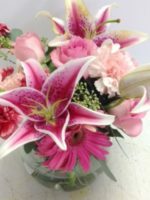 This soft, traditional floral arrangement designed in a beautiful ceramic vase is the perfect expression of love and sympathy for the loss of a loved one. 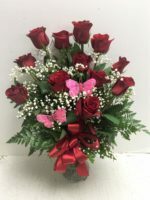 This soft, traditional floral arrangement designed in a beautiful ceramic vase is the perfect expression of love and sympathy for the loss of a loved one. 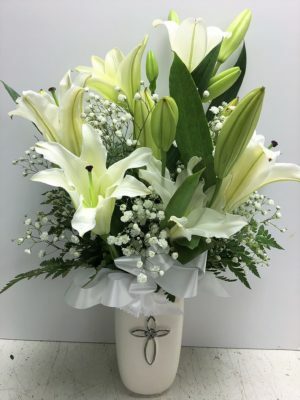 Bringing together stems of fragrant Oriental Lilies, boasting multiple blooms on each stem to create a full and lush flower bouquet, this offering of flowers will bring peace and beauty to remind a grieving family of life’s special moments and memories. 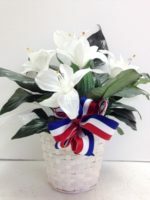 Designed in a keepsake designer white ceramic vase with a stunning silver cross on the front, this exquisite flower arrangement exudes heartfelt wishes of sympathy and love. 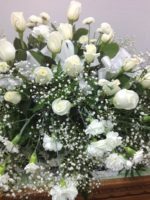 You might prefer this Stunning White Floral Arrangement or this incredible white wreath.